Welcome to San Francisco: The city of cable cars, clam chowder, Lombard—the crooked-est street in the world, and of course… the Golden Gate Bridge! What would a trip to the area be without paying a visit to this iconic bridge? That bright orange suspension bridge standing tall through the fog is the most well-known San Francisco image and has been since the bridge opened to cars and pedestrians in 1937, after only four years of construction. You cannot have a strong fear of heights to cross this bridge: the roadway sits at an impressive 82.5 meters above water and spans 1,280 meters in length making it the 9th longest suspension bridge (and tied with the Yangluo Bridge in China)! The Golden Gate Bridge is named after the section of water it straddles—the Golden Gate Strait—which is where the Pacific Ocean meets the San Francisco Bay. So… why didn’t they paint it gold? California is the “golden state,” and the bridge is named Golden Gate… Alas, “international orange” was the color selected because the architects wanted a warm color that went well with the landscape and contrasted with the blue of the sky and sea. Also, it was great for visibility for ships sailing in the thick bay fog—this way, ships could easily see where the bridge was and avoid hitting it. One other bridge is painted the same “international orange” color: the 25th of April Bridge in Portugal. California’s capital city, Sacramento, boasts the only gold-colored bridge: a small drawbridge spanning the American River located near the Capitol building. Best way to cross the Bridge … period! 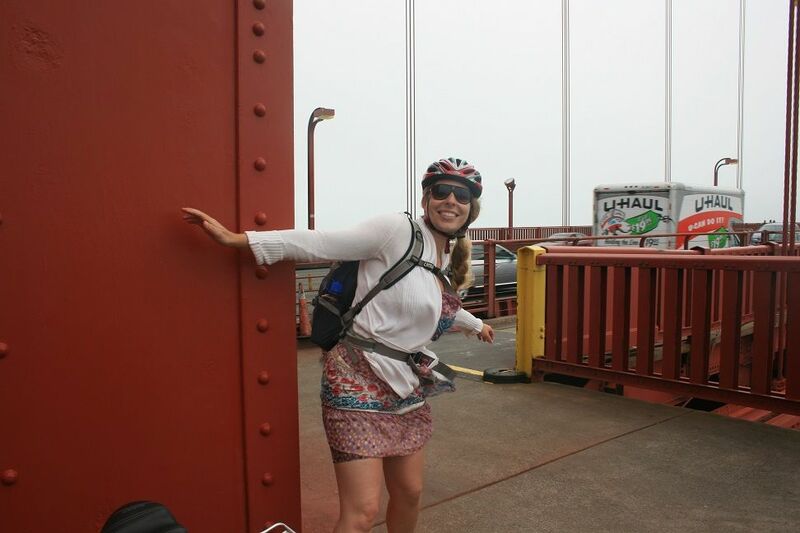 Every year millions of people cross the Golden Gate Bridge each by car, on foot, or by bicycle. There are several San Francisco companies that offer guided tours across the bridge with stops at the vista points where souvenir shops sell all things Golden Gate. The best way to see it is definitely by bicycle! 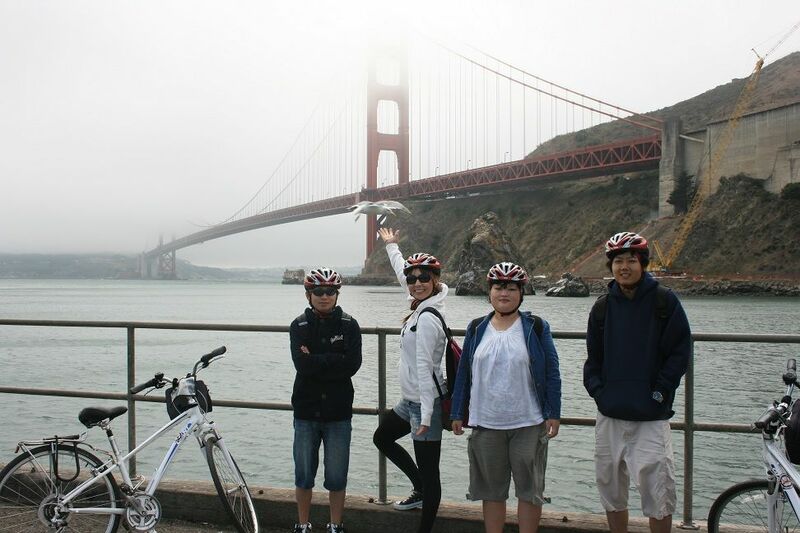 You don’t need your own bicycle to do this ride, or a guide; Bay City Bike is one of the tour companies that offers great hourly rates to rent a bike just your size! Maps are provided, helmets and even return ferry tickets for an easier one-way ride. 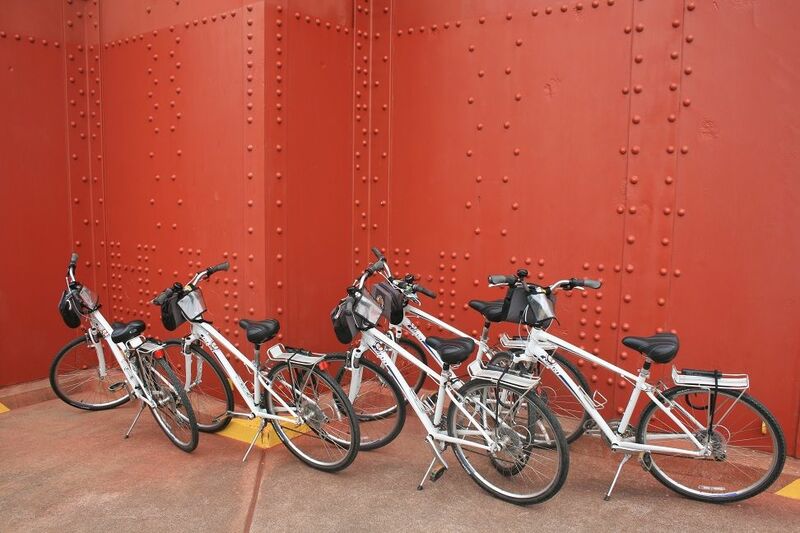 Guided tours lasting 2.5 hours are also offered by Bay City Bike employees. 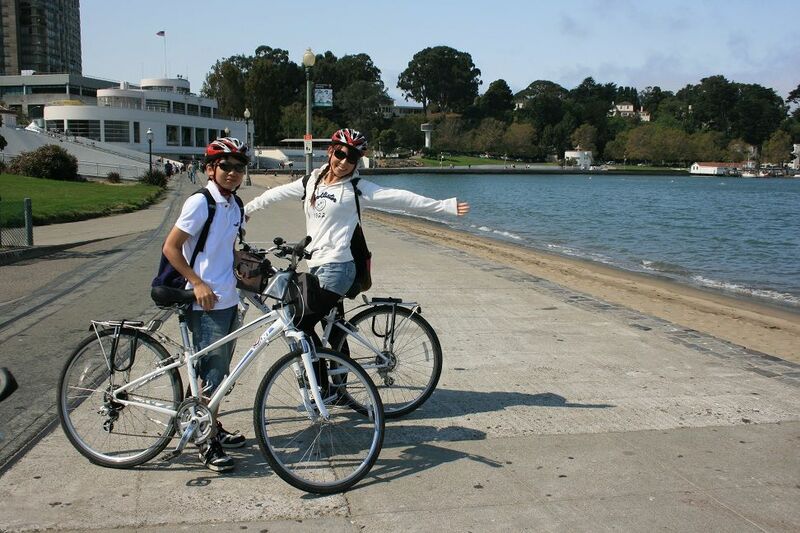 With Bay City Bike’s convenient rental location in Fisherman’s Wharf, you get great views and a rewarding bike ride the entire way passing through: Crissy Field, Fort Mason and Sausalito, to name a few! 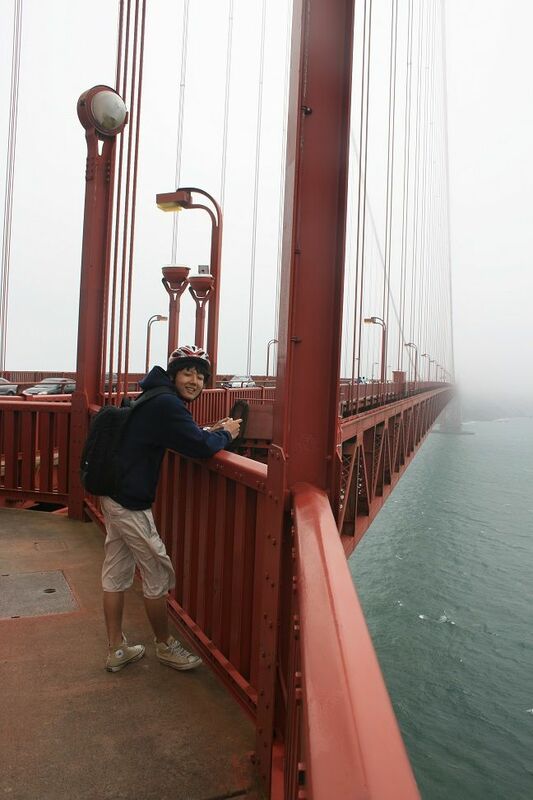 Just make sure to layer your clothing – San Francisco weather can go from sunny and hot to cloudy and chilly, especially when crossing the bridge! You may even decide to walk your bike across because the wind can be so strong, you can’t pedal through it! Whatever you choose to do, be sure to stop and take photos along the way – there’s nothing quite like having your picture taken with the most famous bridge of all! Lacey Long is the School Director and PDSO at our Notre Dame de Namur University center. She enjoys teaching students American slang; she loves singing in the car during student trips (even though her voice is terrible); and she thinks EVERYTHING can be funny. Contact her at lacey.long@talk.edu.